The Famous Grouse is one of the most well know and historic blended whiskies in Scotland. With its history dating back to 1896, The Famous Grouse is one of the UK’s best selling whiskies. And rightly so. 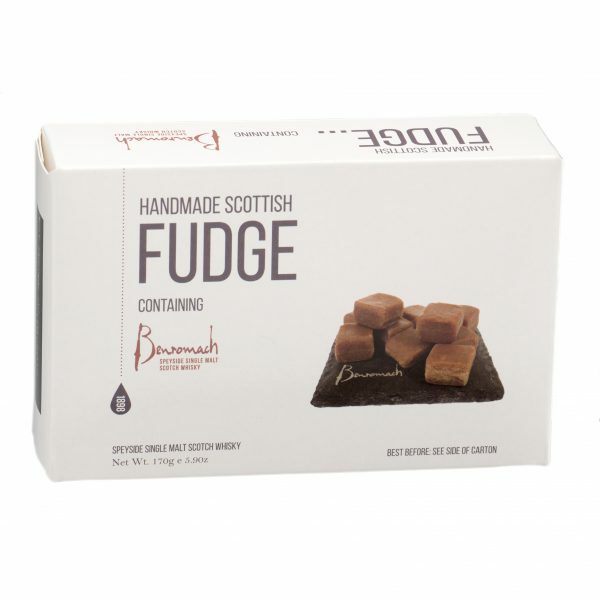 Its nicely balanced malty blend makes for a great complimenting flavour to our handmade whisky toffee. Made in the heart of Scotland by hand to a traditional recipe, our ‘The Famous Grouse’ Whisky Toffee is a perfect gift or present for those who love the balanced flavours of toffee and whisky. Comes complete in a presentation box with The Famous Grouse branding. Ingredients: Glucose Syrup, Sugar, Sweetened Condensed Milk, Palm Oil*, Salt, Flavouring, The Famous Grouse Blended Scotch Whisky (0.5%), Soya Lecithin (E322).